The area of Torrey Hill is located in Northern San Diego in San Diego county, California and contains approximately 784 acres. The community is bordered by Interstate 5 to the west, the Carmel Valley community to the north and east, and the Los Peñasquitos Canyon Preserve and Mira Mesa community to the south. Some residents still refer to Torrey Hills as Carmel Valley, which is actually north of Torrey Hills. The area is just minutes from Torrey Pines State Beach, University Towne Center, Del Mar Fairgrounds, Torrey Pines Golf Course and numerous employment opportunities in the San Diego area. Contact us at 619-928-9811 for a free home appraisal and Room by Room Inspection. Feel free to submit your info online for a quick reply! Located at the intersection of Carmel Mountain Road and East Ocean Air Drive, Torrey Hills Center serves as the Town Marketplace of the master planned Torrey Hills Community and is positioned in the heart of the Carmel Valley Community south of SR-56. Torrey Hills Center is anchored by Vons Market, a large medical office building, and a variety of national, regional and local restaurants and businesses. It has wonderful public spaces to meet and greet, or just people watch. Like the rest of San Diego, Torrey Hills often described as "arid Mediterranean," characterized by warm, dry summers and mild winters with most of the annual precipitation falling between November and March. The city has mild, mostly dry weather, with an average of 201 days above 70 °F and low rainfall (9–13 inches annually). Summer temperatures are generally warm, with average highs of 70–78 °F and lows of 55–66 °F. Temperatures exceed 90 °F. Winter temperatures are mild, with average high temperatures of 66–70 °F and lows of 50–56 °F. When it comes to economics in the San Diego metropolitan area, tourism is very important. Drawn to the region for everything, from shopping to surfing as well outdoor destinations that include the Peninsular Ranges for hiking, biking, mountain boarding and trail riding. 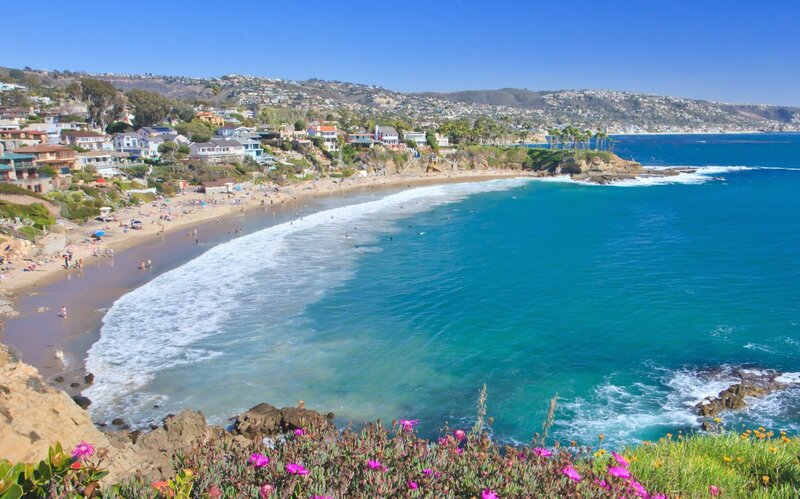 Surfing locations include Swami's, Stone Steps Beach, Torrey Pines State Beach, Cardiff State Beach, San Onofre State Beach and the southern portion of Black's Beach. The County business-friendly and supports a diverse economy with a variety of services. The County of San Diego and the San Diego Regional Chamber of Commerce collaborate to maintain a database of economic indicators measuring the monthly vitality of the San Diego area economy. Included in the indicators tracked are: economic indexes, employment data, housing indicators, mortgage rates, sales statistics, stock indexes, tourism industry statistics and charity donation data. Are you thinking about selling or buying a home in Torrey Hills? We have years of experience and extensive training in cutting-edge, online marketing technologies for today’s competitive market. For sellers we offer a free appraisal analysis on your home and compare it to others in the same neighborhood. Unlike other companies we use a proprietary “Room by Room Inspection” guide that will ensure you sell for top dollar. We will then create a comprehensive online and offline marketing plan to get your Torrey Hills y real estate in front of as many potential buyers as possible. This strategy allows us to maximize your profits! Behind on your mortgage and don’t know what to do? Been denied a loan modification? We have Short Sale Experts with direct access to programs that will pay you up to $30,000 to help with relocation and avoiding foreclosure. Interested in learning more about the short sale process, stopping foreclosure and relocation incentives? Looking at Buying a Home in Torrey Hills? Rest assured, we are first time home buyers specialist and can walk you through the entire process with our amazing buyer education seminar. Let us connect you directly to the Realtors® exclusive database and send you customized searches and properties the moment they hit the market. Having closed hundreds of San Diego County transactions over the years , you can be certain we will provide the best service in the industry. That is a guarantee.